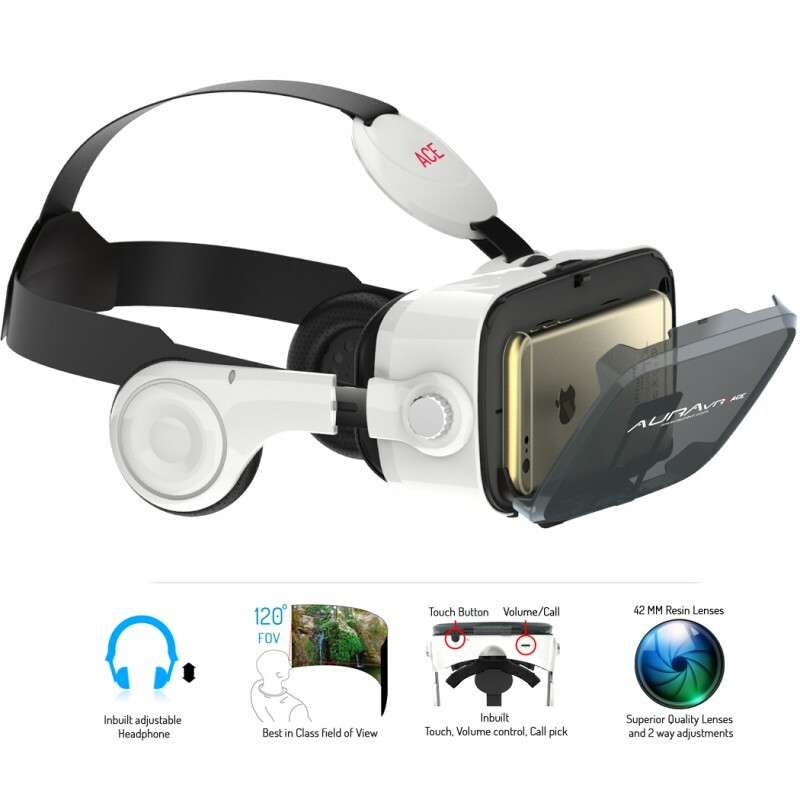 > Products> AuraVR Ace VR Headset With Adjustable 42 MM Lenses, 120 FOV, Touch Button & Inbuilt Headphones with Volume Control Key. 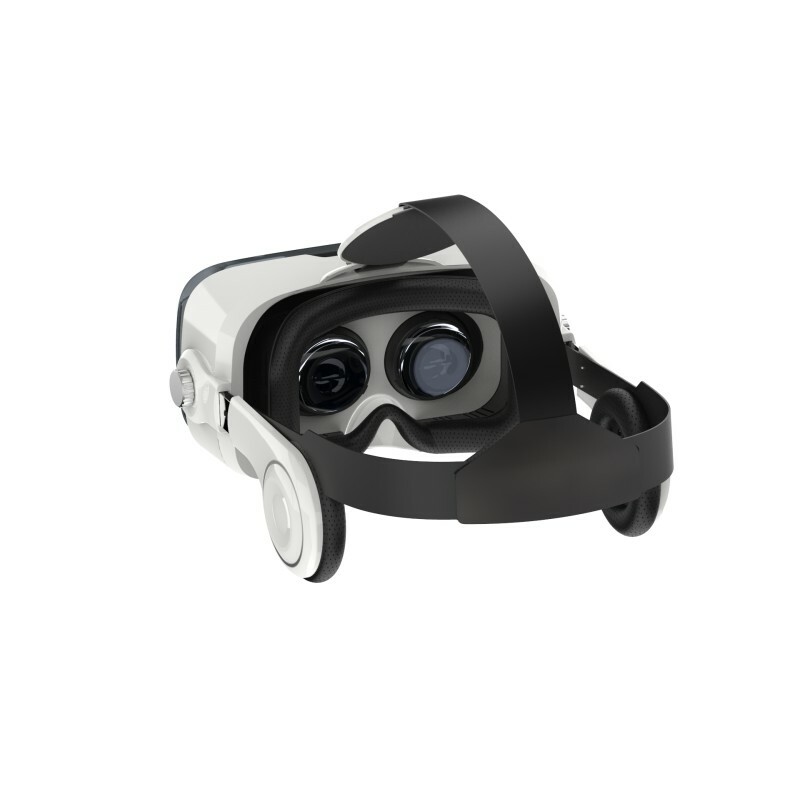 AuraVR Ace is a high quality vr headset 360 degree viewer device from the pioneers of Virtual Reality - AuraVR. 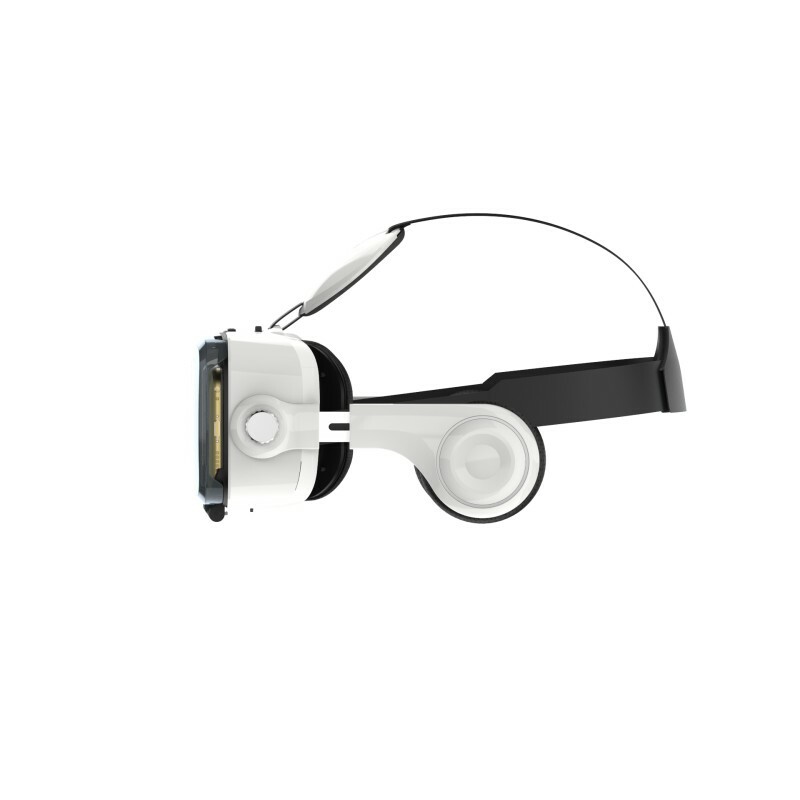 This VR headset is used for enjoying VR Games, Videos, 3D Movies, Photosphere images & even the VR content based on Daydream platform. 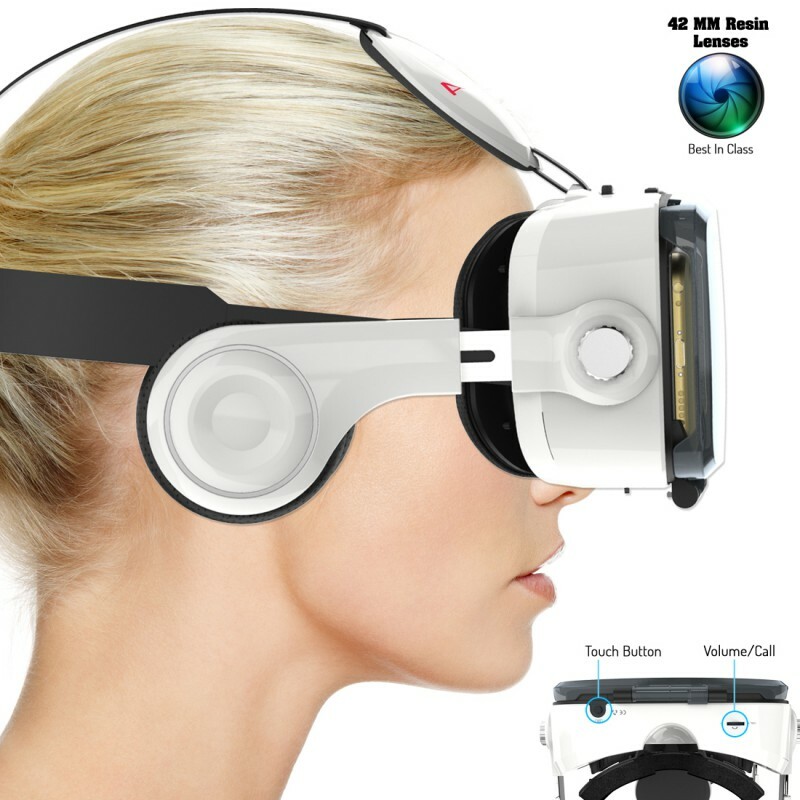 In this Ace series VR gear, we have included all the valuable feedback received from customers. It can support smart phones with varied sizes ranging from 4.2"- 6" and comes with a bundle of unique features. Because of IPD - Inter Pupillary Distance controller and distance adjuster, lenses can be adjusted according to individual eye sight and face structure. The AuraVR Ace virtual reality gear is inspired by Google Cardboard and certain features of Oculus rift. 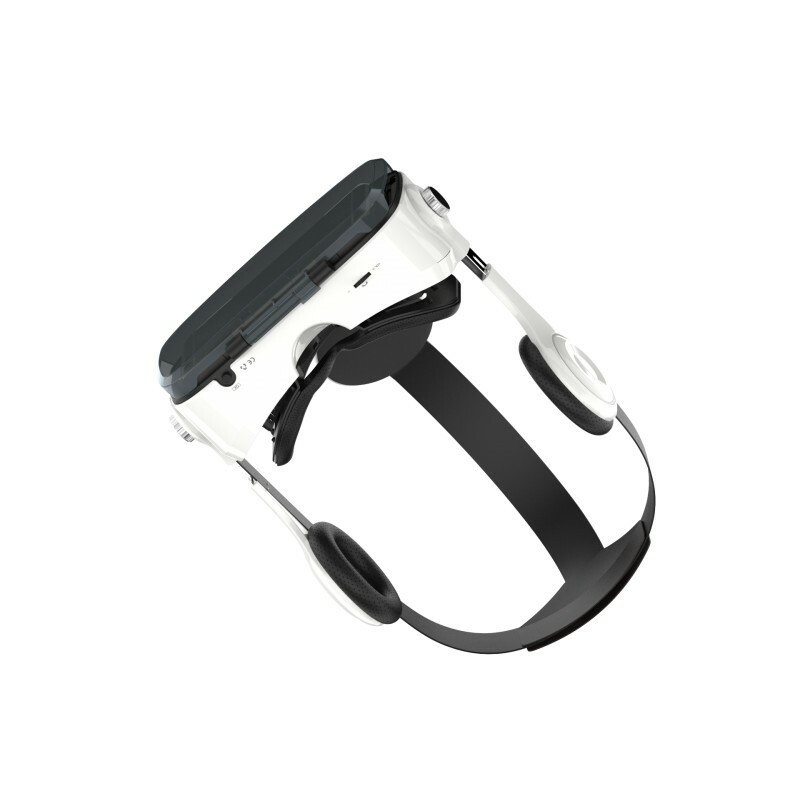 Inbuilt Touch Button: AuraVR Ace VR Headset comes with an inbuilt touch button which works as a clicker thus ruling out requirement for any external triggering device like a magnetic button or clicker. Integrated Wireless Headphones: Total Immersive experience with best in class quality head phones which are integrated with the VR headset. Just insert the attached cable into your phone's 3.5mm jack and feel the VR experience with sound. Additionally you can also control the volume through the volume control buttons. One can also attend calls without removing the phone from headset. provided. Bigger lenses with increased FOV: AuraVR Ace comes with bigger 42 mm PMMA lenses with increased Field Of View Of 110 - 120 degrees thus offering a better viewing experience. Easy Phone Insertion: The mobile holder does not has any clipper to hold the mobile phone rather user has to just slide the phone in mobile holder and adjust the platform according to phone size. Because of absence clipper, their will not be any issue of unwanted key (volume/power) pressing.